If an actor in a popular TV show or movie steps onto the screen in something knitted or crocheted, approximately 214,567 crafters will immediately go to work recreating that item. Patterns for it will appear on ravlery within days. The brave etsy sellers (or the ones oblivious to intellectual property laws) will be offering handmade copies of it for sale within a week. Why the craze to recreate TV knits and crochet? Because these items, when given to a fan, increase the chances of your gift being appreciated by a thousand percent. Plus they make you look like a TV star! Now, I have cautioned heavily in the past about giving away precious, hand-made, yarn babies. Many of the creatures walking around on this planet that look like human beings are in fact, soul crushing beasts who will fail to properly appreciate your creations. Never, ever give them anything you make. Its a waste of your time and yarn stash. But if you have someone whom you think might like a little handmade something-something this Christmas, and that someone is a fan of a Hollywood yarn-appreciating hero, then you might consider making them the hat/gloves/scarf from that show they like. Or….. you could just make it and keep it for yourself! That’s what I would do. No one appreciates my yarn babies like I do. 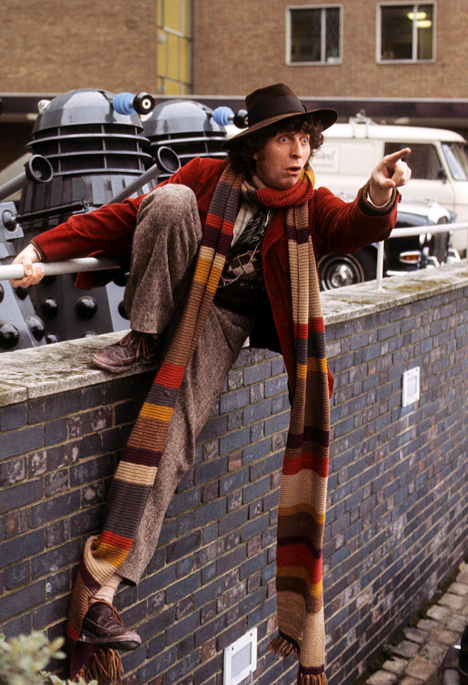 Tell all others who ask for a Doctor Who Scarf that you can only make one if they pay for your time and since this will take appropriately 4.7 years to finish, it will cost them $376,000. The internet has plenty of help and suggested patterns for the Doctor Who (season 12) scarf. The definitive guide is … www.dcotorwhoscarf.com of course. Over there you will find patterns for sport, DK, worsted, and aran weight versions, as well as an exhaustive evaluation of colors from several commercial sources. Go nuts. And if you think all that effort on the part of the web site author was time well spent that you might, in fact, be a little nuts. If you’ve never heard of the show Firefly, that’s because it was cancelled after 14 episodes in 2003. Then a movie was made in 2005. Why did they make a movie from such a short lived show? Because at the time it was canceled, 5 million people were watching it. Why did it get cancelled? Because the people who run FOX are really dumb. You know a Firefly fan. Trust me on this one. They are everywhere. That fan will know EXACTLY what a Jayne hat is. He/she will immediately tell you that its a “cunningly made hat”. The backstory on this piece of knitwear is that Jayne (who is a guy) is a villain but he is the good-guy-team villain so everyone puts up with his backstabbing ways. Jayne spends an episode wearing a hat his mommy made for him. He is very, very proud of it. So for that episode, viewers have soft warm feelings about a character that they normally think should be shot out into cold space by way of a malfunctioning air lock. 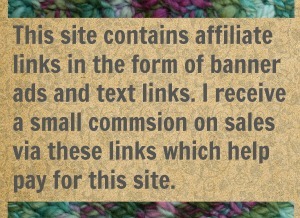 There are several patterns on ravelry for the Jayne Hat. I’m linking the one from QXM. There is also one for babies. 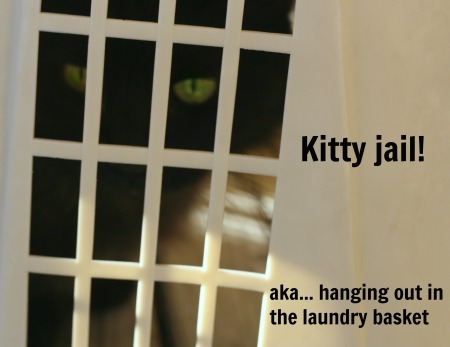 There is also one for cats. There is even a one for ferrets. Long live brown coats! (the Firefly fans will know what that means and everyone else won’t really care). Outlander has hunky guys who take their shirts off, lovely Scottish accents, and lots of knitwear to copy. Guess what? Its a very successful show. 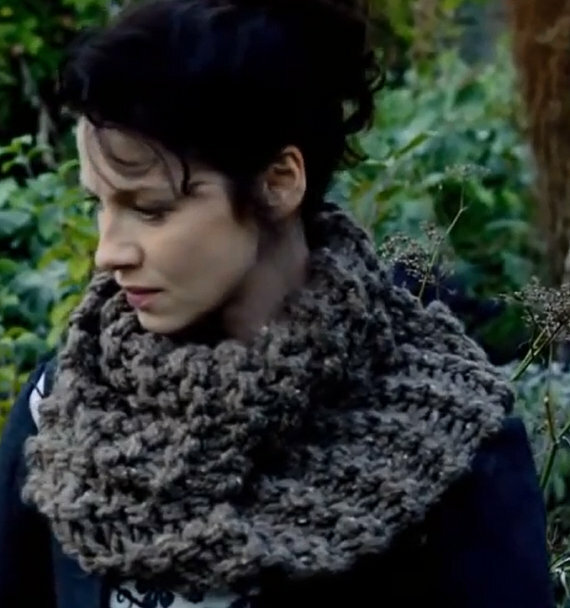 The huge chunky cowl worn by Claire is the most popular pattern, but there are others! There is a pattern for the little shawl she wears in Rent. There are cabled cuffs for when you need to gather up herbs in the wilds of Scotland. There are at least two caplets. And I’m sure the next season will bring more. I know people who watch this show just for the knitting, or so they claim. I’m sure the hunky guys who constantly take their shirts off has nothing to do with their enjoyment of the show. If you watch The Big Bang Theory (and are like me in every way) then you probably found Amy Ferrah Fowler to be irritating, grating, and kind of creepy. Then she grew on you, like a fungus. 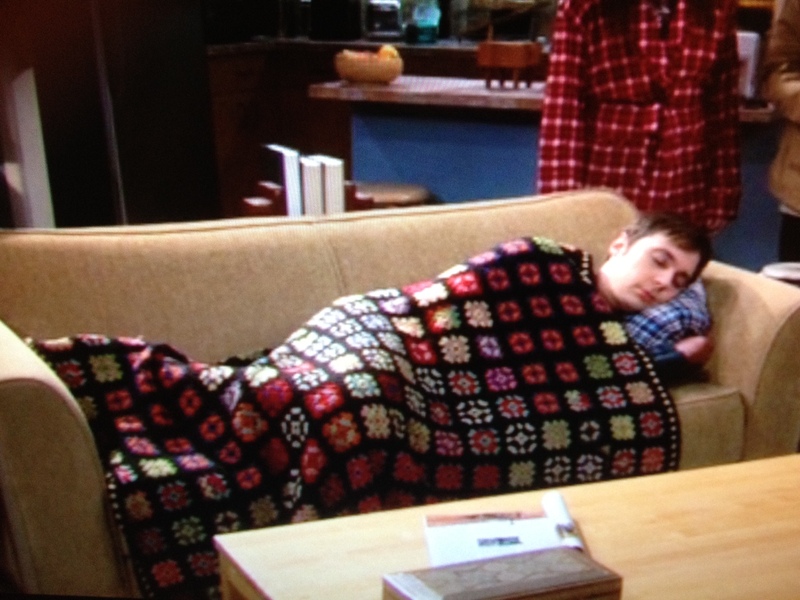 Then you realized she had an AWESOME granny square blanket on her couch which looked EXACTLY like the blanket from Rosanne’s couch all those years ago. Here is a TV crochet that is based on a TV crochet. I actually love Amy Ferrah Fowler now. The show is much, much better with her in it. So I went to see if anyone had figured out a pattern for her blanket and.. of course they had! Hope you found something in all this that you like! All the patterns I’ve linked here are freebies. Go grab them! Hope you gave serious consideration to the keep-it-for-yourself advice. Really, no one will love it like you do. 8 Comments on "What the STARS Wear! (aka copying knit and crochet from TV)"
A tie is a MUCH better alternative! And It might see more wear too. Thanks for linking it. Awwww. How sweet, someone wants a knit out of their mommy. But that cowl is so chunky it should go fast. But don’t let her know that! Wash: Man walks down the street in that hat, people know he’s not afraid of anything. Lovely patterns. Thanks for this. Wash had some fantastic lines didn’t he? I too have knitted a Dr Who scarf – and it’s all mine. The offspring get to borrow it on special occasions. True, it didn’t take 4.7 years – it just felt like that during the endless miles of brown. It bet it did feel like forever. I’ll never make one (watch, I just jinxed myself) because that much garter stitch would make me jab a needle into my own eye. Hope he is a good hubby and I hope he loves you for you must love him! You should still charge him, btw. Make him pay up in chocolate or something. Love knowing I am not the only one out there who does this!